Let’s face it, American Liberals HAD to hope it was Conservatives behind the killings that we now know – and which anyone with common sense could have told – were really yet ANOTHER Muslim terrorist attack. They had to hope that, because American Conservatives are the ONLY people in the entire world that the hypocritical cowards of American Liberalism will unconditionally criticize. American Liberals are far too spineless to even discuss the homophobia, xenophobia and misogyny of Islam, all while demonizing American Christians for having comparatively mild versions of those qualities. We now know the religious and ideological affiliation of the gutless butchers of Boston, and one of them even had “Worldview: Islam” on their on-line profile. In the coming days and weeks as you observe America’s heart-broken Liberals endlessly wagging their fingers and lecturing everyone to remember that we shouldn’t judge entire groups based on the extremists in their ranks you can just laugh and think of how those same nauseating hypocrites gleefully and spitefully demonize and dehumanize everyone who disagrees with their politics, broadly painting them all as racists, gun-wielding rednecks and worse. I will say again that I feel a certain degree of hostility for American Conservatives but for American Liberals I feel nothing but absolute contempt. EVERY ONE OF THE VICTIMS OF THOSE TWO ANIMALS HAD ISSUES THEY WERE DEALING WITH, TOO! Because the Tsarnaevs’ victims were civilized they bore their individual pains like reasonable people do. None of their problems will ever be addressed because the repulsive American media insists on wallowing in this nauseating glorification of the petty complaints of two savage ingrates who couldn’t deal with their own ignorance and insignificance and sought release by destroying the lives of people who did them no harm. Regular readers of Balladeer’s Blog know that I trash both Liberals and Conservatives equally, but on this issue it is purely Liberals who are to blame. 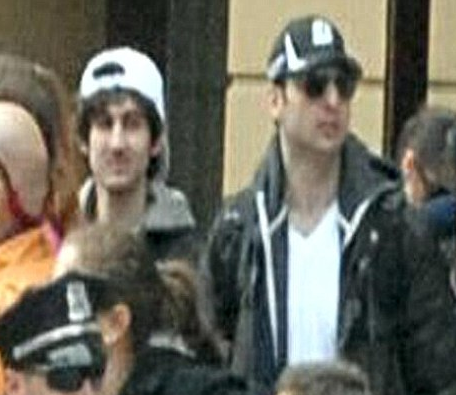 The next time you hear one of the spineless, hypocritical and hilariously pretentious asses of American Liberalism spewing forth their usual hatred for all American Christians, Republicans and Conservatives spit in their face and tell them not to say anything about their favorite hate objects that they wouldn’t say about those two animals, the Tsarnaev Brothers. Surely since American Liberals ENDLESSLY pat themselves on the back for how “compassionate” they PRETEND to be they can spare some for people who simply vote differently from them. At least as much “compassion” as they show for the murderous products of a backward religion that hates music, women and gay people and riots over the drawing of pictures of its central figure. I almost forgot how they pounced on tax day to say it was tea partiers. The media are just propagandists. Thank you for being courageous enough to post this. Especially the reminder about how the Democrats in the media tried to act like it was Tea Party People who did this.